We've all been there. Outoor enthusiasts get wet, sandy, dirty, and sweaty and need to change into clean clothes. Or, we need to put on a swim suit before paddling our favorite river or heading to the beach. When we need to change and there's no restroom around, how many times have we opened a door, hid behind a small portion of that door, and hoped for the best that our changing is private? The Sea Level Gear Dressing Room is a portable privacy / changing curtain that enables you to change in private. It's simple to use and can be quickly rolled and stowed under your auto seat when not in use. It's perfect for kayakers, runners, mountain bikers - or anyone who needs to change before or after an outdoor adventure. 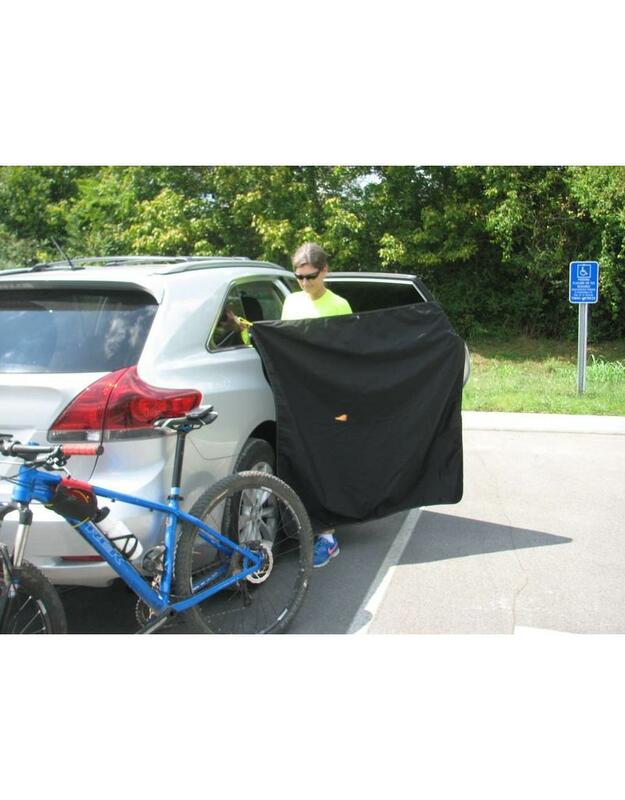 Even familities with small kids love our privacy curtain when mother nature calls. 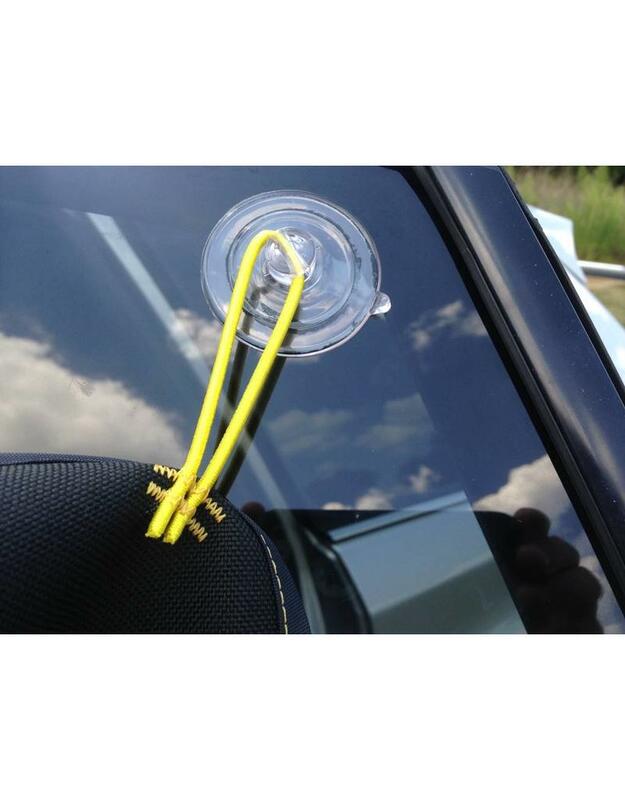 Large suction cups secure the upper curtain onto you vehicle window or clean vehicle side panel. 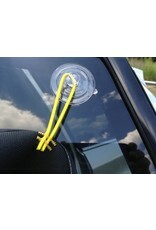 Powerful magnets that adhere to the bottom corners of your vehicle keep the curtain from blowing in the wind. Made with 200 denier urethane coated Cordura fabric. 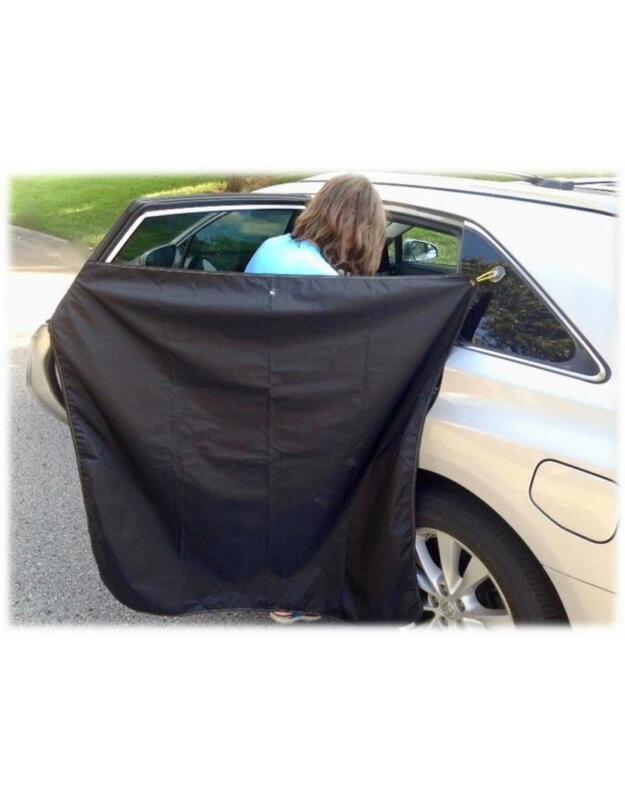 Given the fabric's urethane coating, it can also serve as a seat cover in an emergency.